In late February 2018, a series of rainstorms pounded the central United States, causing damaging flooding along the Ohio River and parts of the Mississippi. Weeks after the storms, the effects were still being felt as far away as Louisiana. That pulse of flood water traveled down the Mississippi River and, by early March, reached the Gulf of Mexico. On March 8, the U.S. Army Corps of Engineers opened the Bonnet Carré Spillway, which diverts excess water from the Mississippi River and relieves pressure on levees downriver in New Orleans. It marks the 12th time that the spillway has been opened since the structure was completed in the early 1930s. “This was a big event, but on the scale of big events, it’s a small one,” said Alex Kolker, an associate professor with the Louisiana Universities Marine Consortium. Still, the flood was substantial enough to color coastal waters brown with suspended sediments. 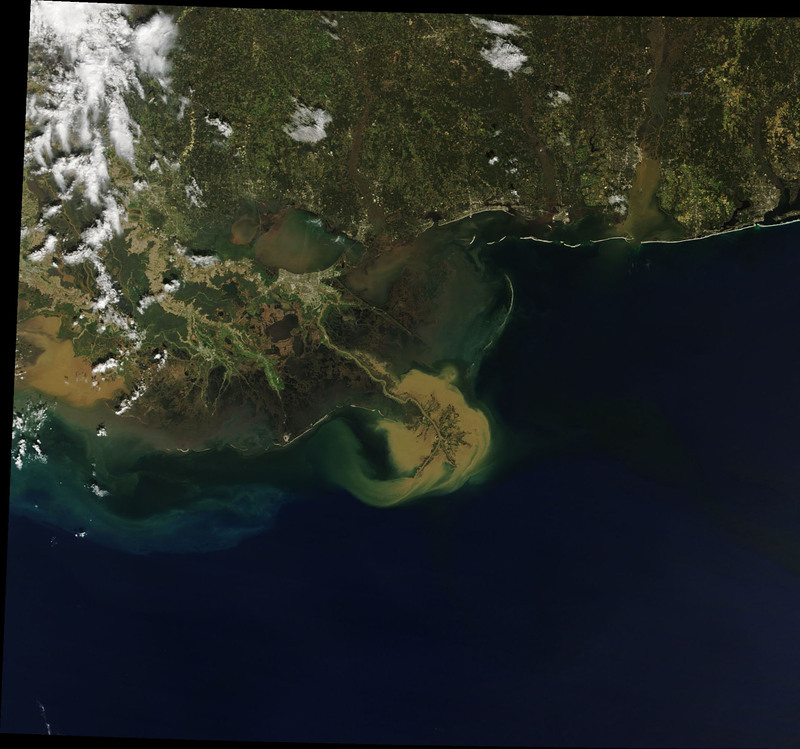 On March 4, 2018, the Moderate Resolution Imaging Spectroradiometer (MODIS) on NASA’s Terra satellite acquired this image of the sediment plume spilling into the Gulf of Mexico. 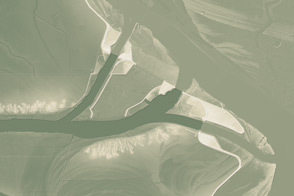 When sediment-laden floodwaters reach the mouth of the Mississippi, they can contribute to land building. 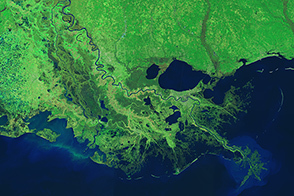 That’s important because the wetlands in the lower part of the Mississippi River delta, particularly around a sub-delta known as Bird’s Foot, are some of the most rapidly sinking wetlands in the country. 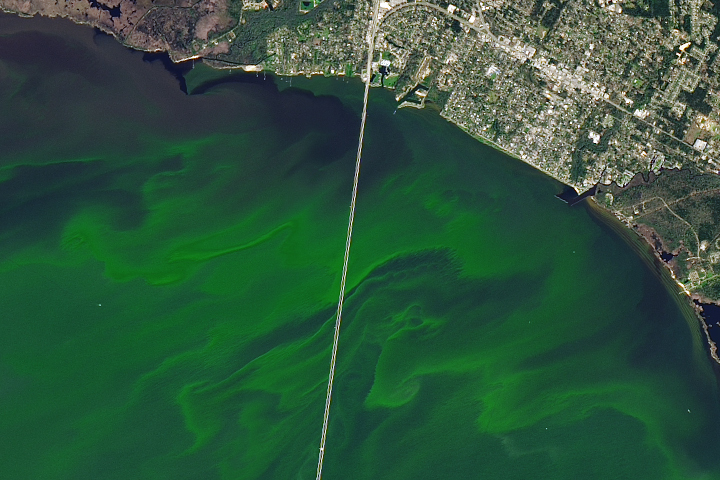 Satellite data helps scientists understand the movement of sediment and freshwater into the Gulf. According to Kolker, MODIS is good at telling scientists how a plume gets redirected by winds and currents. 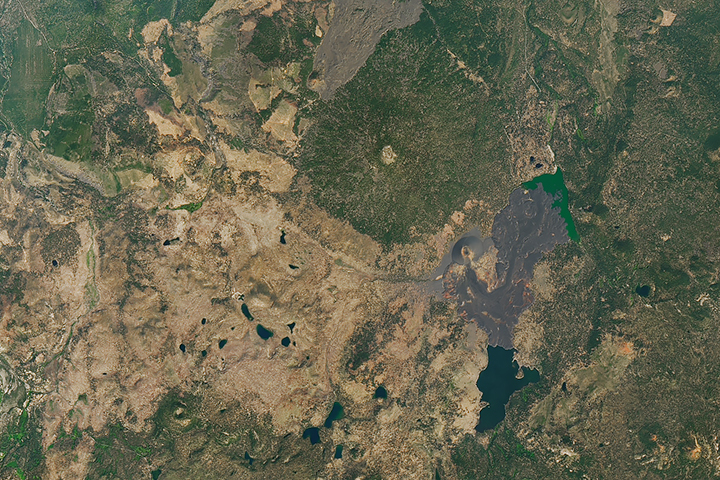 It also improves the understanding of plume dynamics—that is, where fresh water, nutrients, and sediments end up. 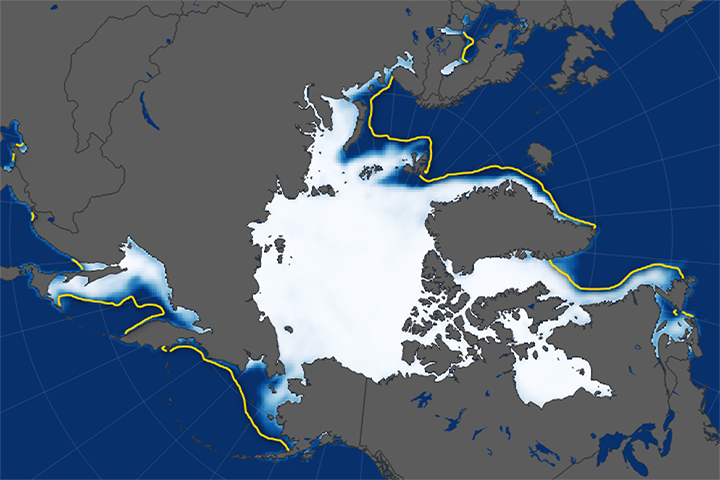 NASA Earth Observatory image by Joshua Stevens, using MODIS data from LANCE/EOSDIS Rapid Response. Story by Kathryn Hansen with image interpretation by Nan Walker (Louisiana State University) and Alex Kolker (Louisiana Universities Marine Consortium). 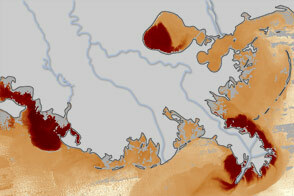 A pulse of flood water from the central United States spilled into the Gulf of Mexico. Flooding in the Central and Southern U.S. 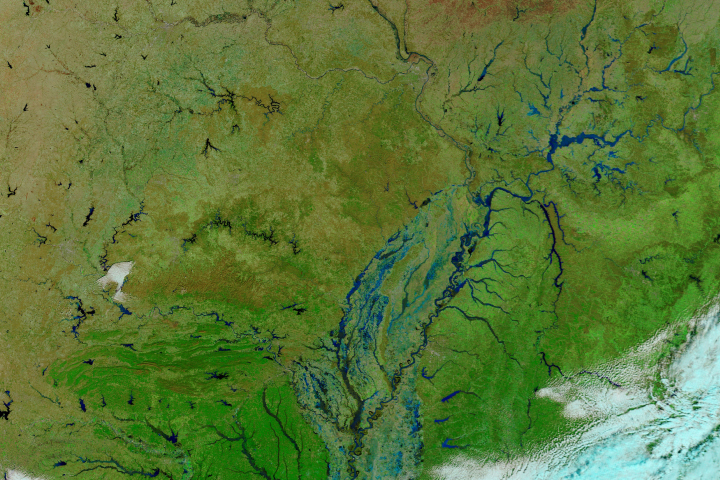 In late February 2018, heavy rains caused damaging floods along the Ohio and Mississippi rivers. 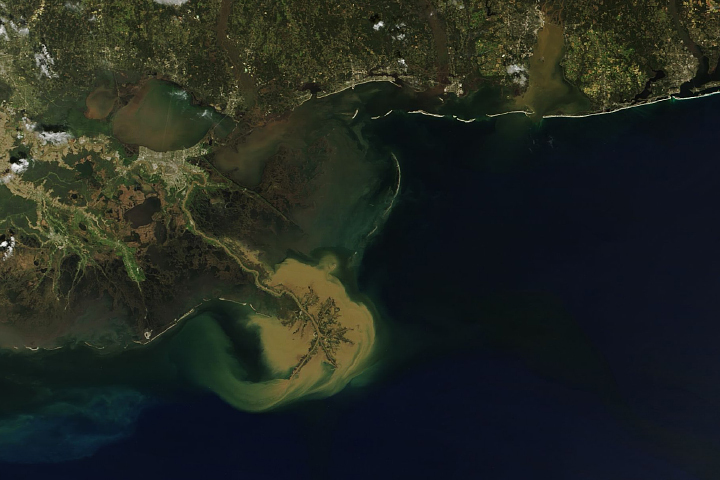 LSU Earth Scan Laboratory (2018, March 4) MODIS Louisiana Coast Truecolor. Accessed March 9, 2018. NASA Earth Observatory (2018, February 28) Flooding in the Central and Southern U.S. The Times-Picayune (2018, March 8) Bonnet Carre Spillway opens, releasing water to lower the Mississippi River. Accessed March 9, 2018. 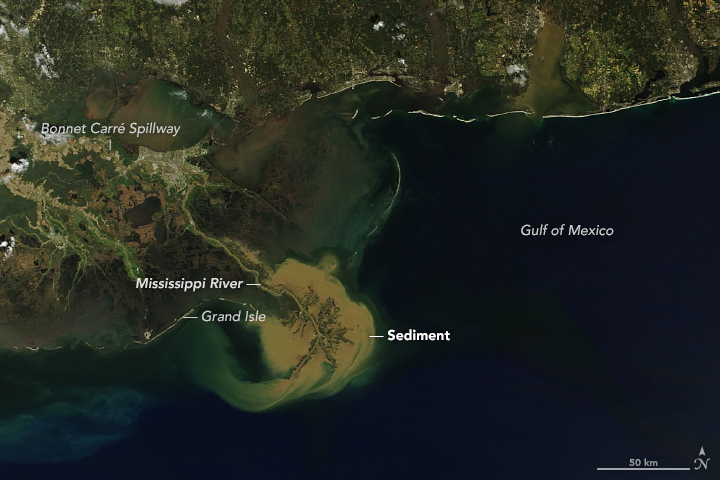 The Times-Picayune (2018, March 6) Cool satellite image shows rising Mississippi River pouring sediment into the Gulf of Mexico. Accessed March 9, 2018.